Not to be dramatic or anything, but I think I have finally found the one. 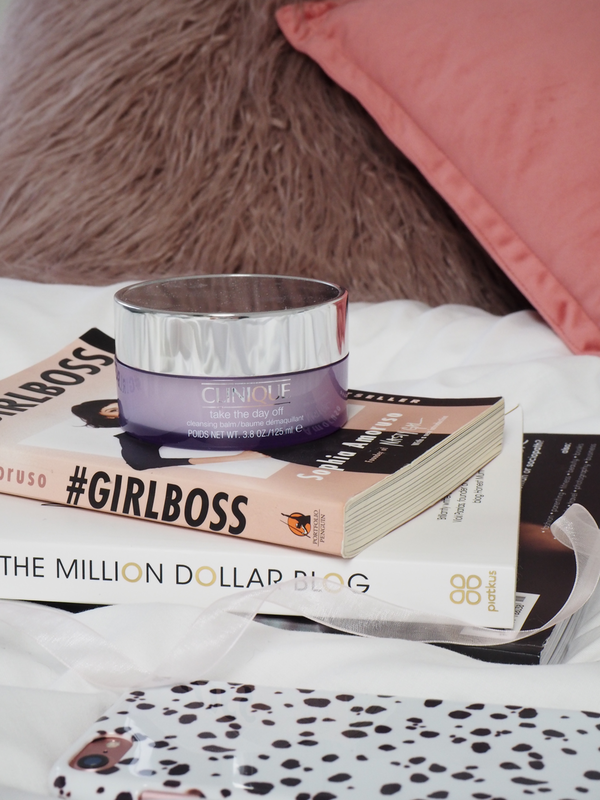 After going through a couple of pots of the Pixi Cleansing Balm last year, I decided to switch things up to see if I could find a better alternative. Pixi was working great for me, and I well and truly converted to the cleansing balm world of make-up removal, but I found the product was just running out a bit too quickly for my liking, so I searched the web for some alternatives. When asking on twitter, the one recommendation which kept cropping up was the Clinique Cleansing Balm. After my success and love for Cliniques Moisture Surge, I figured I’d bite the bullet and go for another of their products to see if they could live up to my already high standards for the brand! And boy oh boy was I not disappointed. The Cleansing Balm has a really different consistency to the Pixi one, while theirs was a bit grittier, and needed more work to massage and melt into the skin, Cliniques really is the perfect balm. This practically starts melting away as soon as you scoop out a little from the pot, and turns into a silky oil type texture when on the skin. It removes every ounce of make-up on your face, the mascara being the toughest of the lot, but it usually does a pretty good job, and all with only the slightest bit of product. I’ve been using this daily for a good few weeks now and it’s barely left a dent in the tub. My Pixi cleanser lasted me about a month, so I can definitely see the difference here. The cleanser is also fragrance free – another big plus, especially if you suffer from sensitive skin. Initially, I was a bit concerned about the oily texture of the balm, suffering from oily skin I thought maybe it would make it worse, but this is not the case at all. Using a muslin cloth to remove, the balm leaves no residue at all and leaves my skin feeling squeaky clean! This is hands down my favourite cleanser I’ve tried so far, and I can see myself sticking with it for a while. "How I Start My Week In The Best Way Possible"